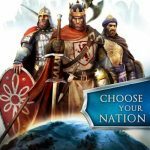 March of Empires Strategy Guide & Tips: Which Faction Should You Choose? 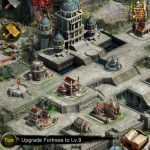 We’ve already given you an extensive March of Empires (iOS, Android) strategy guide, running through some basic tips and tricks you can employ if you’re a beginner. 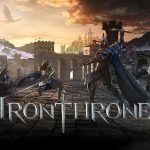 But there’s more than doing the basics, such as following the quests and having a balanced game plan all throughout the game. Aside from that, you also have to make sure you’re choosing the right faction, or empire. You have to choose an empire that fits your style of playing the best, and while we did tell you one that we believe is best on a general level, this strategy guide’s goal is to help you find the empire that actually suits your style. Bonuses for the King include Construction Speed (10%), Iron Income (15%), Swordsmen Attack (10%), and March Speed (5%). Kings are “mighty knights, all clad in iron and masters of the sword,” and are the best empire for players who favor an active, offensive-minded game plan. That’s because of the March Speed bonus we mentioned above. Teutonic Knights, who are the King’s faction, trump those of the other two, though if you look at the entire package, there’s another empire we would strongly suggest you try out for yourself; the most versatile, well-balanced empire of the three available choices. The Sultan is described as an empire of “furious Spear warriors that guard the wisdom of the past.” This is a faction that has some neat bonuses, such as Research Speed (10%), Stone Income (15%), Spearmen Attack (10%),and Squad Size (5%). 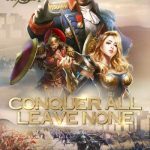 The Squad Size bonus is arguably the most useful among the ones we just mentioned – you want strength in numbers and more attacking power, and this bonus gives it to you. This empire’s Faction unit, the Hashishins, use retaliation as a special skill, and we’d say they are quite useful in most battles. In all, the Sultan is arguably the best empire in general. Not too many players dig the Tsar, who represents “heroic Horsemen, accustomed to life and death in the saddle.” Bonuses include Training Speed (10%), Wood Income (15%), Cavalry Attack (10%), and Champion XP (10%). Training Speed is probably the best bonus of the ones we mentioned, and as far as special Faction units go, the Boyars aren’t bad at all. I would suggest that Beginners go with the Tsar. go easy on the attacking and spend more time training your army and gathering to increase your Might. How can i play as the Northern Tsar? i’m stuck with the sultan which i don’t prefer.PLEASE HELP! !